Am I wrong or does it feel like LGBTQ people are always struggling to make more money? That’s why we believe becoming an entrepreneur will serve both you and our LGBTQ community. 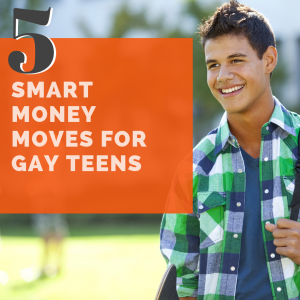 Let’s make more money and strengthen our queer community together. The best place to start that is to know how much you’re earning now by filling out and totaling your monthly our True Monthly Income Report. Make more money and become more influential. There are two reasons why you should become an entrepreneur if you’re lesbian, gay, bisexual, transgender or otherwise. The first reason is that roughly one-third of first-generation millionaires are entrepreneurs. So, unless you were born or married into money, your best bet to make more money and achieve millionaire-status is to become an entrepreneur. The second reason to become an entrepreneur and make more money is an altruistic one. We need more queer leaders in both the private and public sectors. That leader is you! Working for someone else gives us a sense of security, a regular paycheck, health and life insurance and other perks. But, is safety and security playing big or small? How much are you really earning working for someone else? Find out by completing this worksheet. How much are you giving up building someone else’s dreams in exchange for that safety and security? We once had a $51,000 deficit, and now we have a $700,000 surplus. When we started Debt Free Guys™ and Queer Money™, our goal was to build a business so that — from anywhere in the world — we could help other LGBTQ people become financially free and make more money for our own financial freedom. We’ve done that. The same tools that keep us connected to high school friends and celebrities are the same tools and resources we’ve used to grow our business. You have access to those same tools. YouTube isn’t just for music videos and beauty vloggers. YouTube is for ME: motivation and education. Motivational videos keep us, well, motivated. Starting your own business is an emotional roller coaster and negativity is contagious. As Willie Nelson said, “Once you replace negative thoughts with positive ones, you’ll start having positive results.” And, we’re always looking for positive results. We’ve, also, used YouTube as a teacher. It’s taught us about creating and managing our revenue-generating blog, how to manage social media, so it doesn’t manage us and video editing to improve our videos. We’ve spent hours studying the style, tempo and delivery of our favorite public speakers to improve our public speaking. For free, podcasts supplement YouTube and offer us access to today’s leading minds. Listening to podcasts while working, driving or exercising challenges our current ways of thinking, helps us form new thoughts and ideas to become better and entrepreneurs. Want to know what Mark Zuckerberg is planning next for Facebook? Want to learn what Tim Gunn thinks of today’s fashion? Want to hear what world leaders think of today’s current affairs? Podcasts are your answer. One of our favorite podcasts for the queer community is Queer Money™, but I digress. We also like the Out Entrepreneur. 3. Want to make more money? There’s an app for that. The gig-economy isn’t great only because it makes becoming an entrepreneur more accessible. We love the gig-economy because it’s creating mic-dropping technology. It gave us Uber and Lyft that elevated the taxiing. It’s made waiting for 36-hours for our Amazon delivery a long time. Ten years ago, a little company called Apple invented something called an iPhone. This device could fit into a pocket and play music, take calls and text, and the world was amazed. Apple knew the best part of its invention was “app technology.” Now anyone could create life-improving technology for “smart” phones. Can’t afford a personal coach? There’s an app for that. Want to get back into shape? Download an app for that. Need to disconnect and meditate, connect with an app. Need to eat better? Use an app. Did you know that the average millionaire reads two books a month? Books aren’t new, but the accessibility of books is. On Amazon alone, over a million digital books are downloaded daily. There are so many free books available on Amazon and at your local library that you never have to buy another book. Don’t only source your books from the bestseller’s lists, too. Independent books are as good or better than traditionally published books these days. Read books that’ll motivate and inspire you. Learn more about the industry in which you want to make more money. Learn from those who came before you. One of the many benefits of the gig-economy is that you can find LGBTQ related and supportive groups virtually. Virtually connecting with such business partners can be time and cost-effective. Join entrepreneur and business-related groups and groups that have members who may be good business partners and clients, like the private Queer Money™ Facebook Group. or the LGBTQ-business pros group, Outburo, on LinkedIn. Such groups aren’t a one-way street. Before trying to close business within these groups, engage with and support the other members to establish a rapport. Connecting with colleagues and clients virtually, whether they’re gay, straight or otherwise, is excellent. Don’t discount connecting with your local queer community and business leaders in real life, as time and cost-intensive as it may be. Join your local LGBTQ chamber of commerce for two reasons. 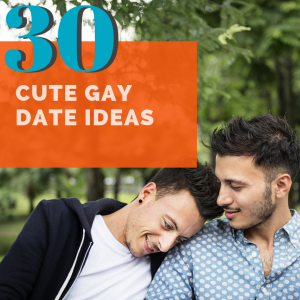 The first is to connect with local LGBTQ prospects and business partners. There’s a philosophy that says every successful business needs 1,000 raving fans, people who will be your most significant clients and advocates. The better you connect with your local community, the quicker you’ll get your 1,000 raving fans. The second is that local chambers of commerce provide a wealth of knowledge and experience. Whether the other members are in the same industry or not, they’ll be useful resources for bouncing ideas off of and getting advice for overcoming challenges. While you’re joining chambers, join the National Gay & Lesbian Chamber of Commerce (NGLCC). Most local LGBTQ chambers of commerce are affiliates of the NGLCC. By joining your local chamber, you’ll get a discount on your national membership if your local chamber is an NGLCC affiliate. This list to make more money isn’t comprehensive, but it’s a start. Don’t sacrifice the good for the great. Don’t wait for the perfect time, the right amount of money – especially if this is not enough money for you – an open calendar or until you lose that weight. 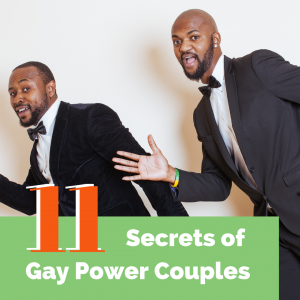 For your personal and financial success and the success of your queer community, start to make more money now. Great suggestion. I just figured out that YouTube has a variety subjects that you can draw from. I would have never thought to look at Facebook either. We are almost debt free. Any new incite to our plan would always be welcome.